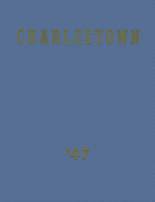 Listings of high school yearbooks for Charlestown HS can be found below. You will find former students who are seeking yearbooks, those looking to sell a yearbook and general yearbook requests among the Charlestown yearbook listings. This yearbook section was created to help alumni post yearbook classifieds. please help me , im looking to buy a 1993 charlestown high school in massachusetts yearbook so i can show my children. I want to see all my old friends pictures. looking to obtain yearbook from the class of 1973. Does anyone have a year book from 1943?